Oh, magical Ibiza. This beautiful island has the image of a wild party island, which is a shame because it has so much more to offer. Of course, the party scene is great. But it’s only such a small part of Ibiza. There are beautiful beaches, magical places, lovely restaurants and so much more. 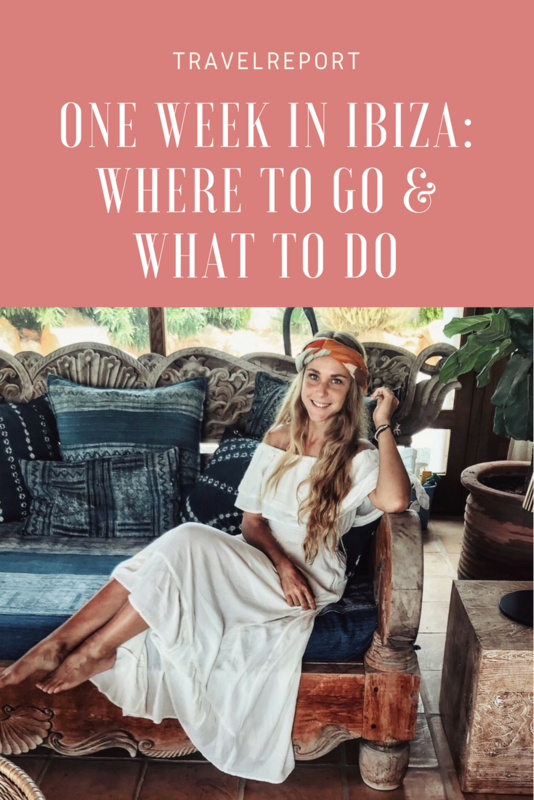 Here are my tips for a week on the isla bonita: Ibiza. Take a cab (because there’s probably no parking spot left) to Cala Benirras on a Sunday just before sunset. You’ll find a small market and lots of beautiful people playing drums when sun sets. It’s a magical experience that can take all night. Bring a sweater! Discover the island of S’Espalmador and Formentera in a unique boat trip from Ibiza. 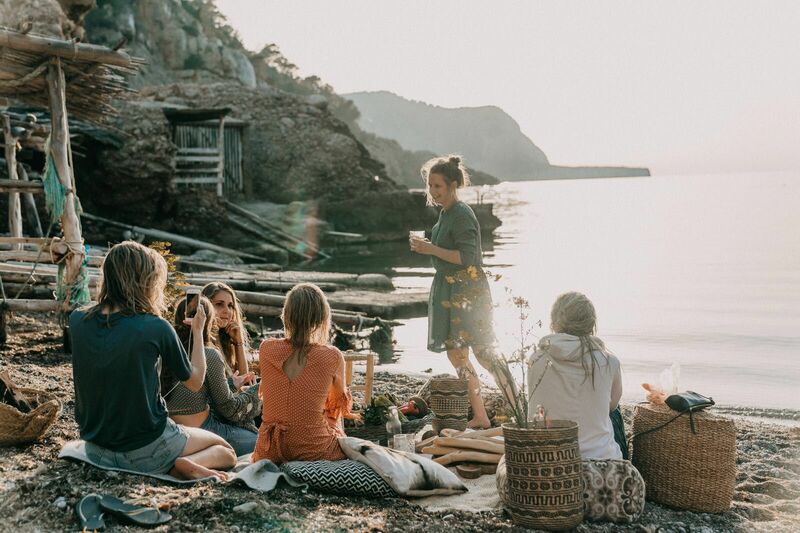 Enjoy the crystal clear waters of the beaches of Formentera, taste the authentic Ibizan paella, have a drink at the open bar, snorkel on the beach of Illetas and discover the island of Formentera freely. Tickets can be found via Essential Ibiza. Es Vedra is definitely a legendary rock formation. Did you know that it’s the third most magnetic spot on earth (after the north pole and the Bermuda Triangle)? Some even say that navigational instruments are affected in the vicinity of Es Vedra. 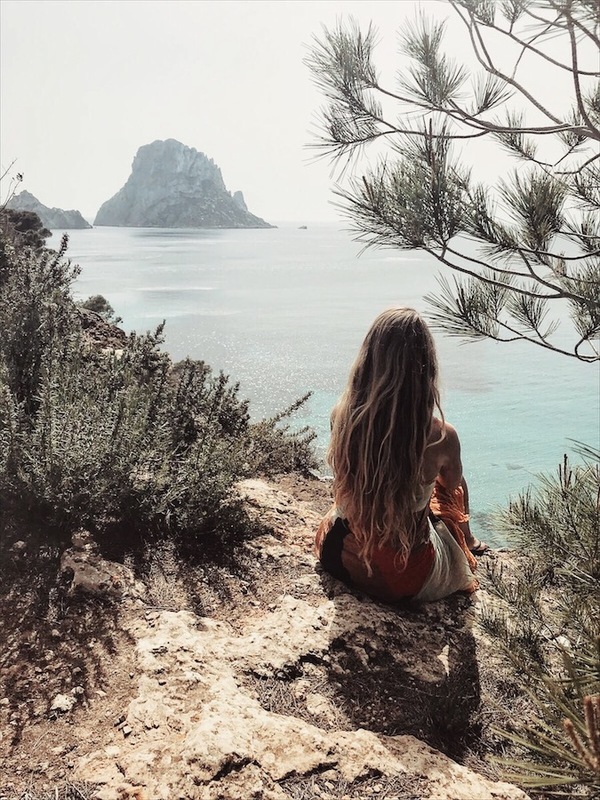 Visit a beach nearby or go hiking and stop at every Es Vedra view point for some time. Can you feel it’s effect? Punta Galera, a beautiful bay surrounded by stone formations jutting out from the cliffs like large, flat shelves. Perfect for snorkeling and cliff diving. Cala d’Hort is a cute beach that looks out over magical Es Vedra, the third most magnetic spot on earth. 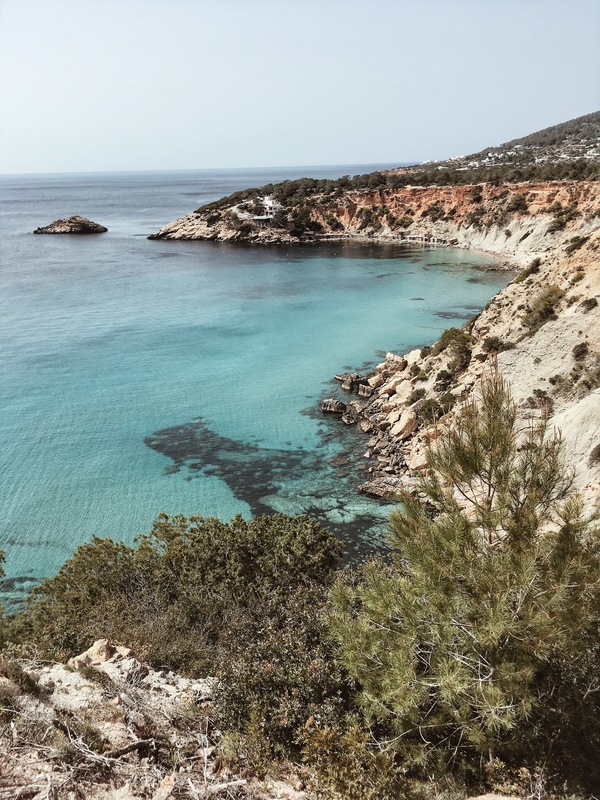 Cala Tarida is a popular, family-friendly beach that also has some secret spots (if you’re willing to get your feet wet, that is). Near Cala D’Hort, looking out over Es Vedra. Ibiza Town, also called Dalt Villa, never bores. There is so much to see. Have a cocktail at S’Escalinata (Carrer Portal Nou 10) – who’s terrace is located at a stairs with a view over town, walk through the hidden path ways or look over the beautiful marina. Looking for typical Ibiza jewellery, fashion and food? 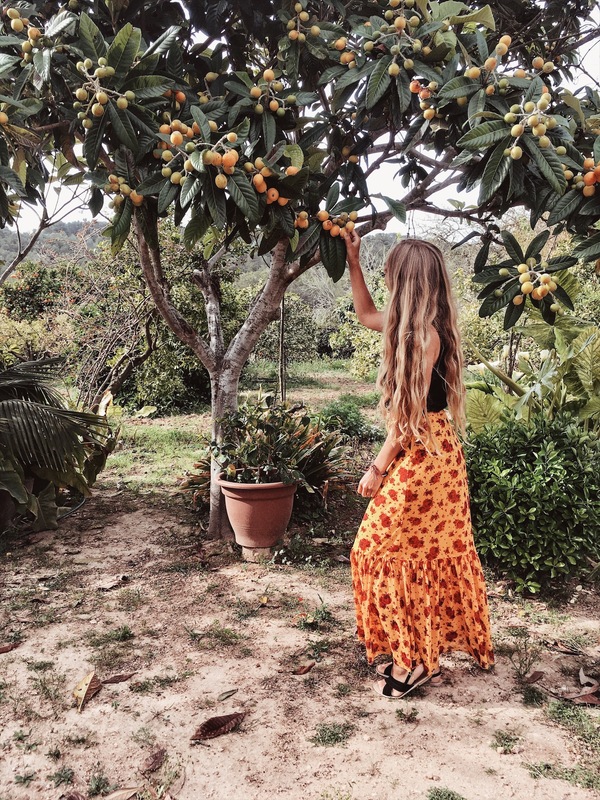 Definitely stop by at Las Dalias, the hippie market near Santa Eulalia in Ibiza. There’s sooooo much to see and to shop, I love coming here every time I visit the island. Check the time schedules here. 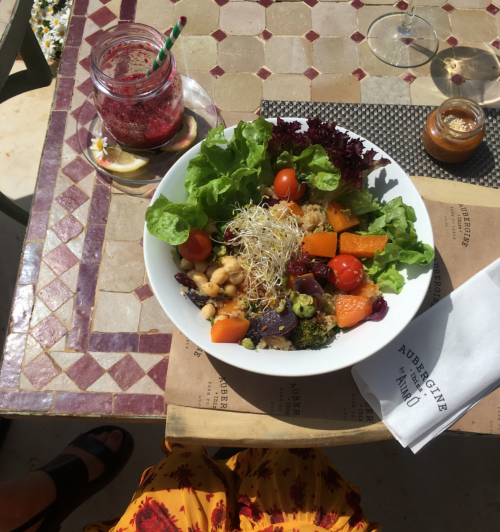 Located between Santa Gertrudis and San Miguel km 9.9, AUBERGINE offers the best of natural Mediterranean and healthy cuisine with the ‘farm to table’ concept, a delicious juice menu, cosy and relaxing dining rooms and terraces. 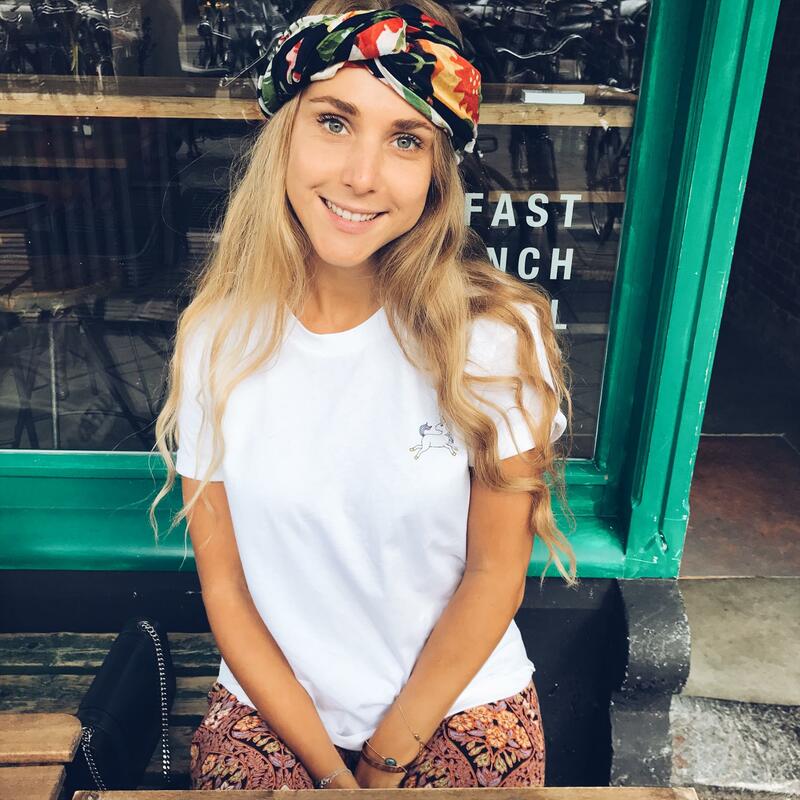 Everything on the menu here is vegan and organic. 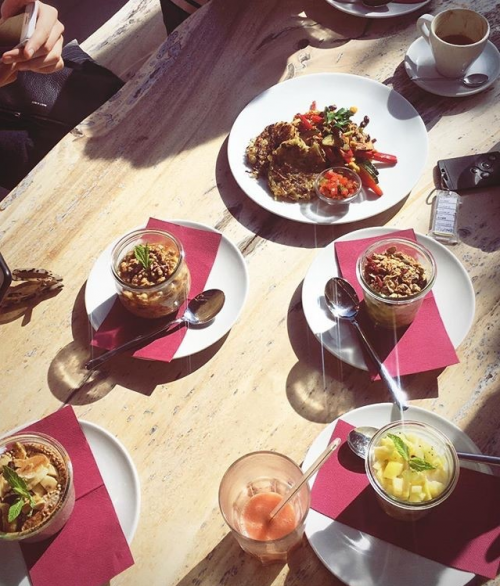 Turmeric coco latte with scrambled tofu or Acai bowl, anyone? 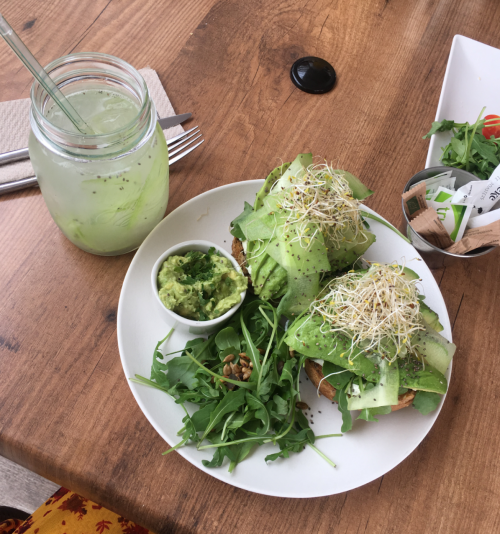 The Passion Café philosophy is to create good, natural, wholesome food using the very best quality ingredients we can find. Their food is unadulterated and unadorned. They source locally grown produce as much as they can and go organic whenever possible. 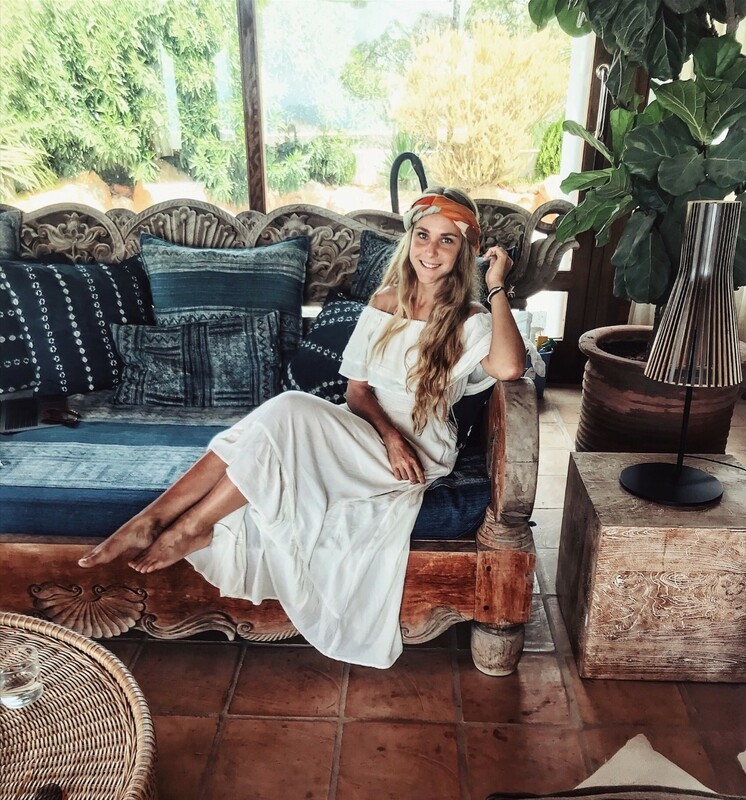 My favorite places to stay in Ibiza are Santa Gertrudis, Sant Miquel, Sant Josep and Santa Eularia. If you come to Ibiza for the busy night life, definitely stay in Sant Antoni or Ibiza Town. I usually book a villa via Airbnb. Make sure you also book a car, you’ll definitely need that on the island. Rent a car, you’ll need it. The island isn’t very big, you can drive pretty much everywhere within an hour. Most restaurants and clubs open in May. Always bring enough summer wear, but also some warm clothes. They speak English in most places.